We do have a lot of parts for almost every BMW model. Feel free to ask for any other BMW car parts, we are always happy to help. Genuine used BMW part. We will ALWAYS try our best to help. It is also possible to collect the item from our warehouse. Removed from 2008 Lexus IS 220D, 6 Speed manual, 4Dr Saloon, Silver. Scilly Isles. Channel Islands. Isle of Wight. Isle of Man. The Scottish Islands. The Scottish Highland. Northern Island. 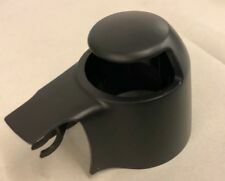 Rover 200/400 89-96 Wing Mirror Lever type Passenger Side. 6 Series E64 Convertible. 5 Series E61 Touring. 6 Series E63 Coupé. RIGHT FRONT WIPER ARM. Drivers side (RHD) wiper arm suitable for the following models produced June 2006 onwards BMW Part Number:61 61 7 185 366. GENUINE VAUXHALL / OPEL WIPER ARM Part Number: 90582557 Compatibility: .......TO BE ADDED...... PLEASE MESSAGE WITH VEHICLE REGISTRATION OR CHASSIS NUMBER TO CHECK COMPATIBILITY. NOTE: The ebay compatibility table above is intended for guidance purposes only. Please check part numbers and/ or contact us with your vehicle registration or chassis number to confirm compatibility. VAT Invoice included 1 Year Vauxhall Warranty Included Thanks!. PART NUMBER IS 1J6 955 707 A. PART NO : 2S61 17527 AC. FORD FIESTA MK6. FITS MK6 MODELS FROM 2002 TO 2008. DRIVER SIDE FRONT WIPER ARM. ALL OUR PARTS ARE FROM A UK SPEC RIGHT HAND DRIVE CAR UNLESS OTHERWISE STATED. All our parts have been marked for security purposes. This is compatible withapprox 2004-2006 Scenic and Grand scenic models with the clip on wiper bladewith the twist end. This is the early style with thetwisted end with a pin for the blade to clip onto as per photo 2, the part number on the end of the arm is8200113230. This listing is for a 2015 Vauxhall Astra Wiper Front Arm RH. If there are any part number please make sure these are correct for your vehicle. If you are unsure about fitment to your vehicle please send us a message / enquiry. Renault Clio 96 Headlight Passenger Side. 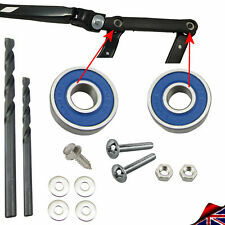 FORD FOCUS MK2 04-11 FRONT WINDSCREEN WIPER ARM WITH BLADES. We are Breaking a 2005 Ford Focus GHIA Mk2 115 (Pre-Facelift). Wing Mirrors: Non powerfold / heated. Wing Mirror Type. Engine Code Removed from the car below but may fit many other Models/Years. A4 B6/B7 2001-2008 [8E]. Audi A4 (8E) A6 (4B) Front Aero Wiper Blades. Do you want Stylish Genuine Audi Front Aero Wiper Blades for your A4?. Genuine Audi Front Aero Wiper Kit. Genuine Audi Parts. Vehicle: Audi. Part Number: 983202D902. Elantra / Lantra (2000-). This item may be listed for your vehicle model but there are variations between models. Renault clio sport 182 windscreen wiper and linkage arms, also fits 172 phase 2, in good working order. Right O/S (Driver's Side) Wiper Arm. Used, in perfect working order, ready to fit. Removed from a working car - never been repaired. Function Wiper Arm, windscreen washer. ; Driver Position: for right-hand drive vehicles. Model year to: 03/2000; ; Driver Position: for right-hand drive vehicles. Engine Code: M 111.984; Model year from: 04/2000; ; Driver Position: for right-hand drive vehicles. 2002 - 2006 Volvo XC90 Pair Of Front Wiper Arms. We willALWAYS resolve your issue but would ask that you call us in order to do so. We are a bonefide 'End Of Life' Vehicle Dismantlers situated in East Devon. windscreen wiper motor with linkage arms. removed from a 2001 Renault Clio 2.0 172 Sport. used working condition. Thank you for looking. REMOVED FROM A 2011 ASTRA J, THE CAR PICTURED. PART NUMBER: 5E2955409. SKODA OCTAVIA PASSENGER WIPER ARM. GENUINE 2013 - 2019. We are much cheaper than the MAIN DEALERS. Complete Front end panels. Air Bag Complete Set. DOES HAVE RESIDUE OF STICKER WHERE IT HAS BEEN PEELED OF. LAND ROVER DEFENDER 90/110/130 WINDSCREEN WIPER ARM SPINDLE ADAPTORS (PAIR) **FITS ALL MODELS UPTO CHASSIS NUMBER 1A622423** LAND ROVER PART NUMBER - 2 X STC987. GOOD USED CONDITION WITH AERO WIPER BLADE INCLUDED LOOKS OK.
6 Series E64 Convertible. 5 Series E61 Touring. GENUINE E60 RIGHT HAND DRIVERS SIDE WIPER ARM. 5 Series E60 Saloon. 6 Series E63 Coupé. 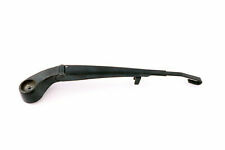 Drivers side (RHD) wiper arm suitable for the following models produced June 2006 onwards. These fit all Vauxhall Corsa C Models from 2000 to 2006. Pair of wiper covers left and right side. We always aim to be as fair and reasonable as possible. Cases will be considered on an individual basis and exceptions may be made. Part numbers: 30753509, 30753508. VOLVO V60 S60 P3 MK2 10-18 PAIR OF FRONT WINDSCREEN WIPER ARMS. We are Breaking a 2013 Volvo S60 ES Nav D2 Mk2 (Pre-Facelift). Wing Mirror Type. Screws, nuts and bolts are also classed as a free gift if included. We are Breaking a 2006 Audi A6 Avant SE 4F C6 (Pre-facelift). Shelf Location: WIPER BLADES. Wing Mirror Type. Engine Code: BRE. Removed from the car below but may fit other models/years. Screws, nuts and bolts are also classed as a free gift if included. This listing is for a 2000 Volkswagen Golf Wiper Front Arm RH. If there are any part number please make sure these are correct for your vehicle. If you are unsure about fitment to your vehicle please send us a message / enquiry. This listing is for the pictured rear wiper arm removed from a 2009 Volkswagen Golf MK6 5 Door Hatchback. Please notice the cover is missing. If there are any part number please make sure these are correct for your vehicle. If you are unsure about fitment to your vehicle please send us a message / enquiry. VW Polo 9N passengers side front wiper arm. Polo 9N 02-09. Part Number -6Q2 955 409 A. Near side, passengers side front. Our roots are firmly in the water cooled VW, retro cars, Hot rods and grass roots motorsport world. Part Number : 7M3955707. VW SHARAN MK2. FORD GALAXY MK2 1.9TDI (C). REAR WINDSCREEN WIPER ARM. Donor Car: Ford Galaxy 1.9 TDI. SEAT ALHAMBRA. Engine Code for Scottish Highland, Northern Ireland. 1998 - 2004 Land Rover Discovery 2 Pair of Front Wiper Arms. We are a bonefide 'End Of Life' Vehicle Dismantlers situated in East Devon. We willALWAYS resolve your issue but would ask that you call us in order to do so. This is a part from VW PASSAT B6. Driver Position: RHD. Fuel Type: DIESEL. Year: 2009. Body Type:4 Door Saloon. Engine Size:1.9. THIS ITEM IS COMPATIBLE WITH MANY OTHER VEHICLES. Gearbox: 5 SPEED MANUAL. Lancia Thesis Nearside / Left Hand Front Wiper Arm. New & Genuine 60677158. Lancia Part number 60677158. Lancia Thesis. Genuine Lancia Part. Force Majeure. Stoneacre service centre. 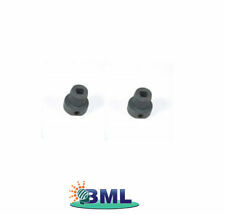 The Part Number is 4M5117526 BB. From a UK Right Hand Drive Vehicle. This is used and has the odd surface scuff/mark and paint fade from age and use, but is otherwise solid. (Taken from: 2006 SKODA OCTAVIA VRS 2.0T FSI BWA 200BHP, BLUE, 6 SPEED GEARBOX, 5 DOOR, HATCHBACK). YOU WILL FIND MORE INFORMATION ABOVE.